Royal Three Counties Show, in association with Santander, will return this June with a greatly enhanced line up, say organisers. Ticket price: Advanced tickets are priced from £16 for Three Counties members and from £17.50 for non-members. Children’s tickets are available from £5.95. The Three Counties Agricultural Society’s signature event promises to celebrate the very best of British farming and its rich heritage, alongside artisan food and thrilling family entertainment. Billed as ‘bigger and better than ever before’, this year will see the introduction of a variety of new attractions, including a starring line up of industry experts, the first-ever hound show in the show’s history, stunt displays from The Devils Horsemen and the England v Wales Sheep Shearing Test Match, plus much more. Making appearances this year will be Olympic Gold medallist Carl Hester and BBC Countryfile star Adam Henson. Carl Hester will display dressage to music in the main arena on Saturday, while Adam will be educating budding farmers on the story of milk and all things diary in the ‘Discover Diary’ exhibit. At the heart of the show, cattle commentator Clive Davies, sheep commentator Mark Roberts and pig commentator Tom Alty will lead the livestock arena. Chariot displays from world leaders, The Devils Horsemen, will also be a key feature for 2015. As part of their display, War Horse’s Joey himself will be taking to the ring, following his big screen role in the Spielberg adaptation of the Michael Morpurgo classic. The Devils Horsemen have appeared in numerous blockbuster films and famous television roles, including, most recently, Games of Thrones, Downton Abbey, Les Miserables, Call The Midwife and The King’s Speech to name but a few. England and Wales are set to battle it out in a Sheep Shearing Test Match. This will see the top English shearers take on the finest Welsh shearers including the World Championship winner. Budding farmers will be invited to ‘Discover Dairy with milkshake making, cheese crafting, ice cream tasting, learning about cows, the story of milk and much more. School parties will receive free entry on Friday of the show and will enjoy engaging tours and hands-on educational activities throughout the day. Green-fingered visitors can re-pot their own orchids with the International Orchid Show. The humorous educational live stage show, the Sheep Show, welcomes back the dancing sheep, which are guaranteed to keep the whole family entertained. Also making a welcome return will be an extensive national breed show in the Farming Village, more than 2,600 entries in the Equestrian Village (including many Horse of the Year qualifiers) Xtreme Falconry, a vintage tractor parade, ferret racing and a lively display of duck herding from Merion Owen and the Quack Pack. The Main Arena will see a Grand Parade of livestock, displays from the Parachute Regiment Freefall Team ‘The Red Devils’, agility displays from Paws For Thought, Inter Hunt relays, show-jumping competitions and hot air balloons. Daring visitors will be given the chance to tackle a 30- metre climbing wall and view army tanks and rockets in the Military Village. And in the Sporting Village, the Young Farmers’ Tug-of-War, Action Sports Tours, martial arts demonstration and croquet lesion are not to be missed. England Lacrosse, England Golf, West Bromwich Football and Worcester County Cricket will also be in attendance. The Food and Drink Pavilion will champion artisan produce from across Herefordshire, Worcestershire and Gloucestershire. And central to it will be the Cookery Theatre, featuring inspiring local chefs. Sunday, June 14, 2015, is National Rare and Minority Breed Sunday at the Royal Three Counties Show. Tom Beeston, CEO of the Rare Breed Survival Trust (RBST), discusses his role, his involvement in the Royal Three Counties Show and why he considers this event to be a stand out one for him. “I joined the Rare Breed Survival Trust just over a year ago as CEO and have enjoyed every moment of it so far. It combines my three main passions in life: food, farming and wildlife. I have worked with all of them during my 30-year career, but this role brings them all together for the very first time. “My father is probably my greatest inspiration. His ethos and values have been a great source of inspiration and a key influence and have consequently guided my various career choices. “I was brought up on a small dairy farm in Nantwich, Cheshire. Alongside the cattle, we reared pigs, sheep and rare breed poultry – for eggs and the table. Our large garden also yielded a good crop of fruit and veg and although we were not what would be called ‘organic’ – according to today’s stringent standards – my father avoided pesticides and weeded by hand. He was the one who initially introduced me to the idea of safeguarding our future by looking to our past. “History and tradition are the bedrock on which we stand and we need to protect the things which worked for us historically in order to achieve a sustainable future, we are custodians of our land and we must pass it on in the best state possible. 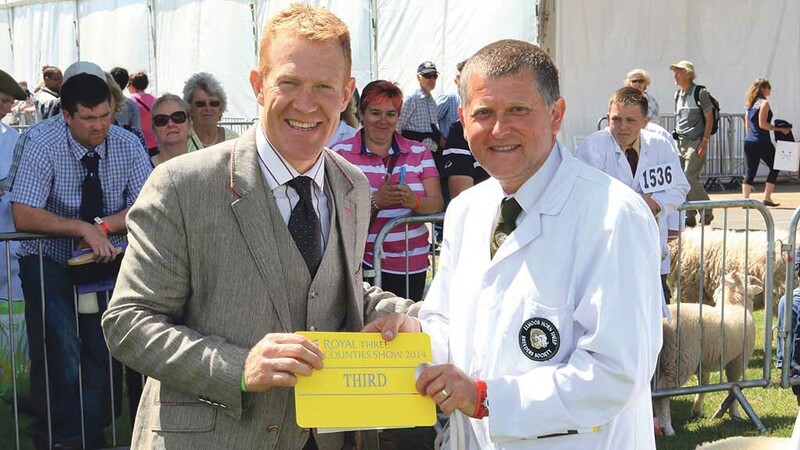 “We are lucky to have such a fantastic tradition of agricultural shows in Great Britain, but the Royal Three Counties Show for me stands out for its passion, knowledge and commitment to farming and related industries. Like the RBST, the Royal Three Counties Show team is devoted to its cause, showcasing what makes British farming great and supporting every aspect of it. “Our founder Joe Henson is a past president of the Three Counties Agricultural Society and a main instigator of the National Rare and Minority Breed Show, which takes place on the last day of the show. It has been christened Rare Breed Sunday in order to celebrate rare breeds and highlight the importance of conserving livestock genetics, promoting the diversity of the breeds and future-proofing our food resources. 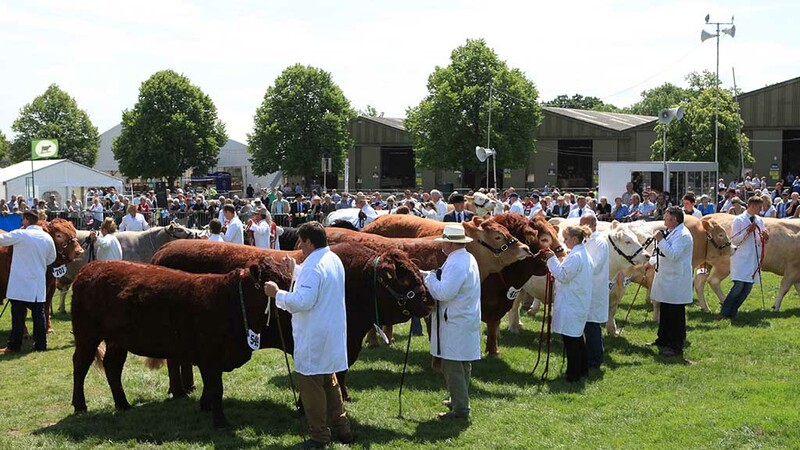 “Throughout the show we will be offering our RBST breeders and members refreshments in our ‘garden’ and on the Saturday evening we are holding our ‘Blood and Guts BBQ’ in association with Traditional Herefords. “We are excited to announce Andrew Sharp, from the School of Artisan Food, will be joining us on our stand, Andrew will be holding knife-sharpening workshops and offering top tips on how to carve your Sunday roast. We are not forgetting our budding future farmers either, with lots of interactive and inspirational activities for children. The following people were successful in our Royal Three Counties ticket giveaway competition and each win a pair of entry tickets for the show: Peter Kane, Maybirch House, Warwickshire; John Jones, Tyn y coed, Gwynedd; Des Jackson, Ainthorpe Lane, North Yorkshire; John Hutchings, Barton Farm, Warwickshire; Graham Richards, The Parks, Hereford; Dawn Frame, Dullator Farm, Dunkeld.